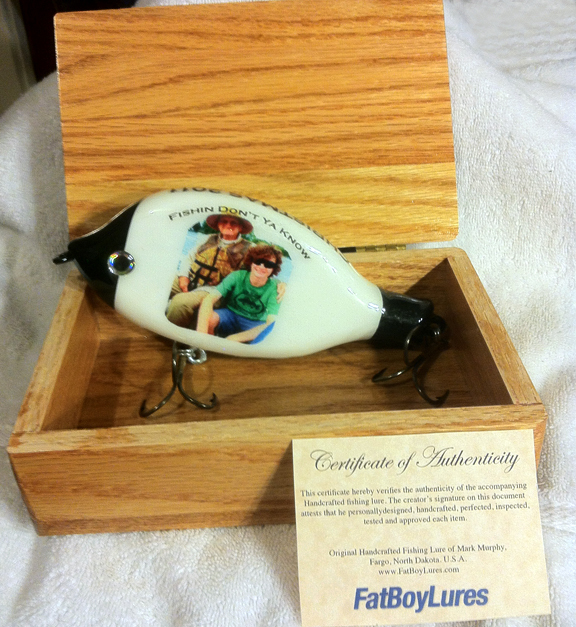 FATBOYLURES Custom FISHING LURES, Unique customized hand perfected fishing lures. 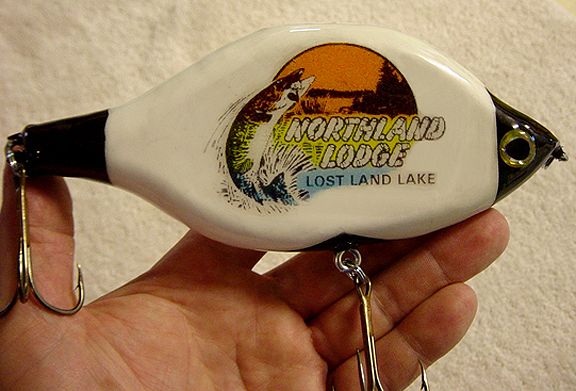 For Muskie, Pike & Bass. Makes Great Wedding Gifts for the guys. 2.) 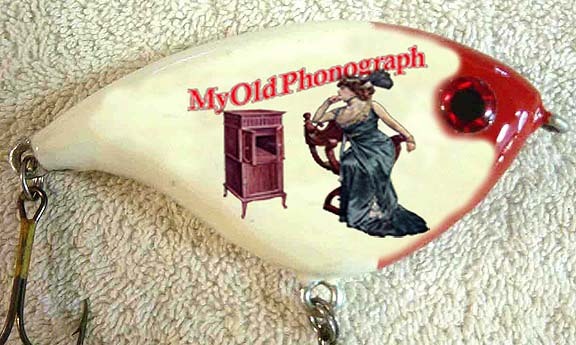 Choose the personal photos you would like to use on your lure. You can have one, two or 100 photos. Just remember…the more photos you want, the smaller the photo will be!! 3.) Next, do you want an inscription?? Happy Birthday, Congrats!! If so, please choose cursive or block style text?? 4.) Please choose the color you would like the lure tipped in. Hint……favorite color or favorite sports team colors I will do my best to match any color! 5.) Do you want a handcrafted wooden gift? Gift Boxes do add to the total cost. The wood choices are Walnut, Oak, and Aromatic red Cedar. will be done and returned to you as soon as possible. business days after payment is received. This time could vary depending on time of year. During the crafting of your lure, Mark will be in contact with you via email or text message to update you on the progress of your lure. 10. )Your lure will be mailed to you via USPS first class mail. Tracking is included, but Insurance is Not Included. If insurance is required, please let me know. 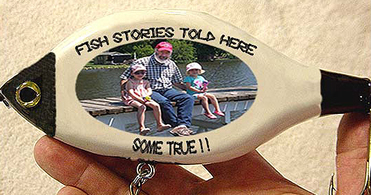 Your own personalized lure with your own design, drawing or photo. 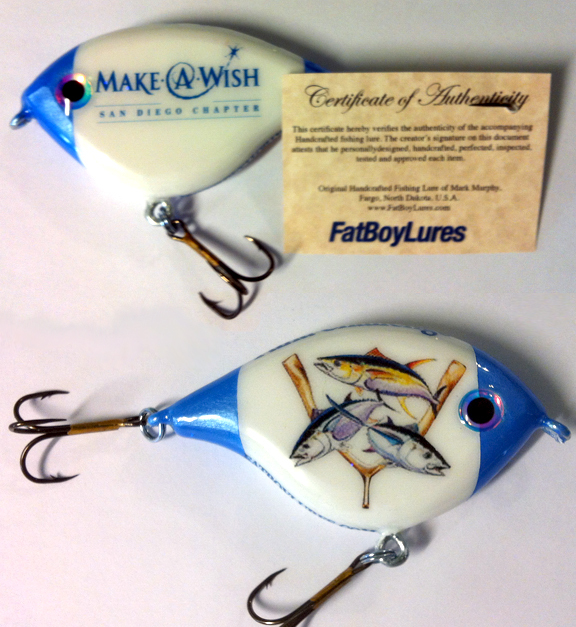 Choose between the BigBoy, Original Sized Lures or customized shape. 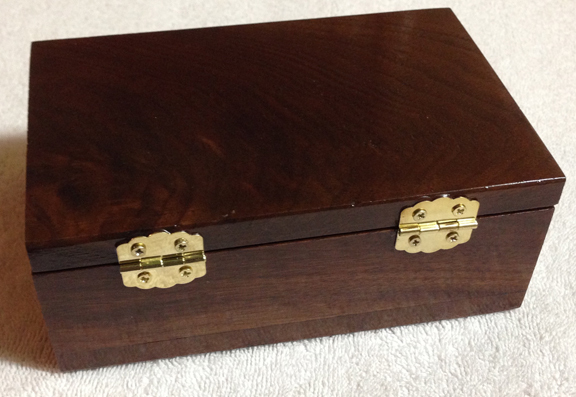 Hand made gift boxes are available, made of Oak. Any design or photo can be used for your own FatBoyLure. A Great Way to Tell Dad the Good News! Custom made gift boxes too! 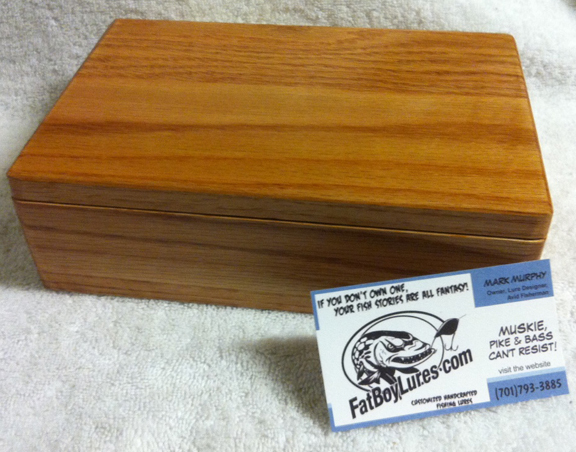 Ask about custom made maple boxes! 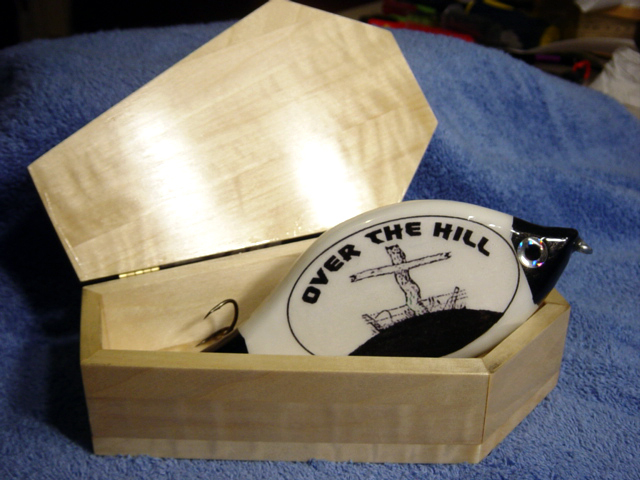 Customized Lure for your fishing buddy! ...or Special Grand Dad in your life! ...or just to say HAPPY FATHER'S DAY! Perfect for that gag birthday gift! And he can catch fish with it too! 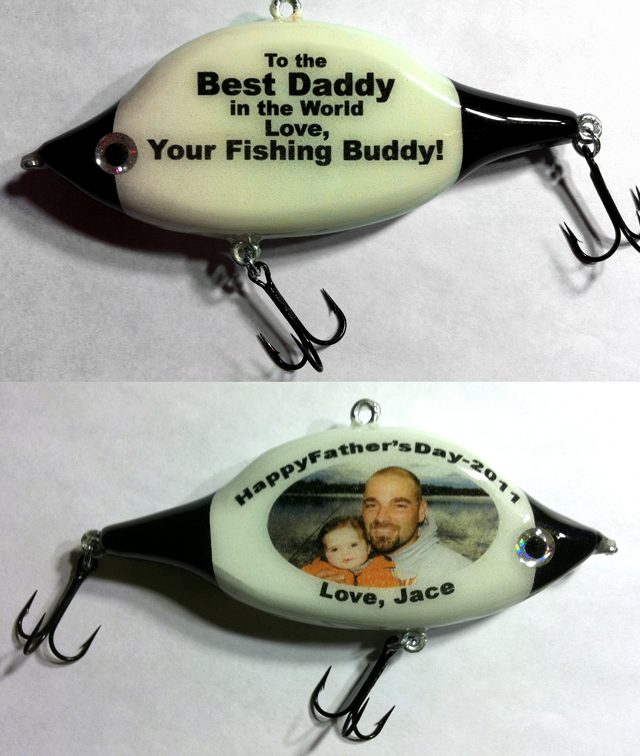 Scroll down to see more Customized Lures! or just Because... For Grampa, Dad or your best friend! 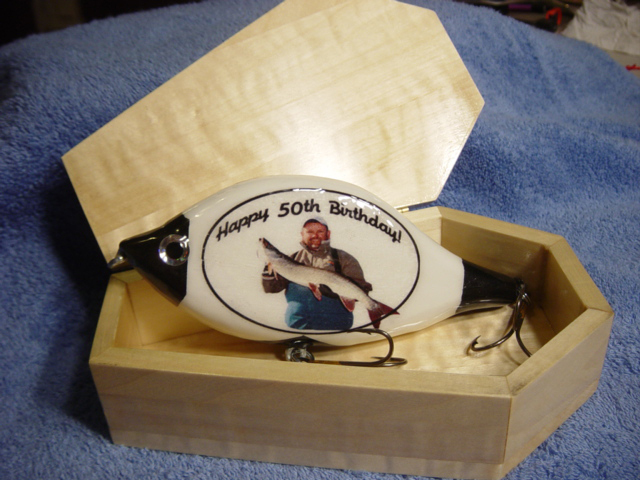 These Muskie, Pike and Bass lures make a great personal gift for Father's Day, Birthdays, Holidays, Corporate gifts, Wedding Party gifts, Sportsman Outing, Anniversary gifts, Annual Fishing Pals gifts, or prizes... Not only are they a nice personalized gift, they will catch big fish! Bass Love em' too! 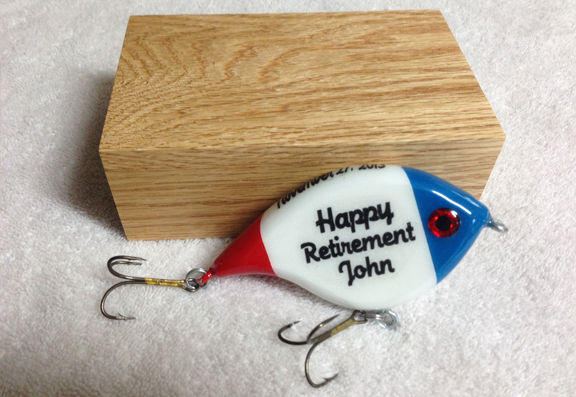 My personalized lures are One of a kind. 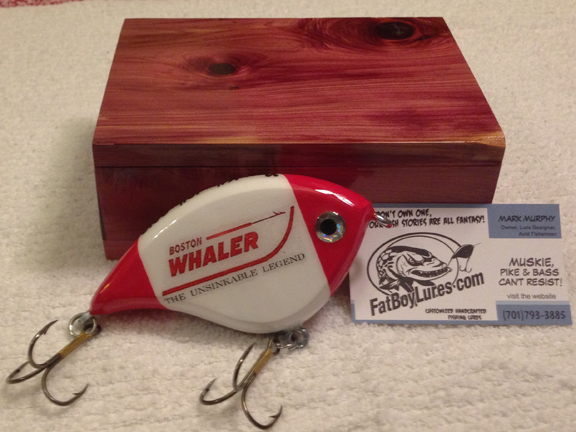 Unlike those larger lure Big-Box corporations that have their lures made overseas and on machines by under-paid workers, MY Lures are personally made and created by hand and not by automated machines. Each piece of wood is carved. 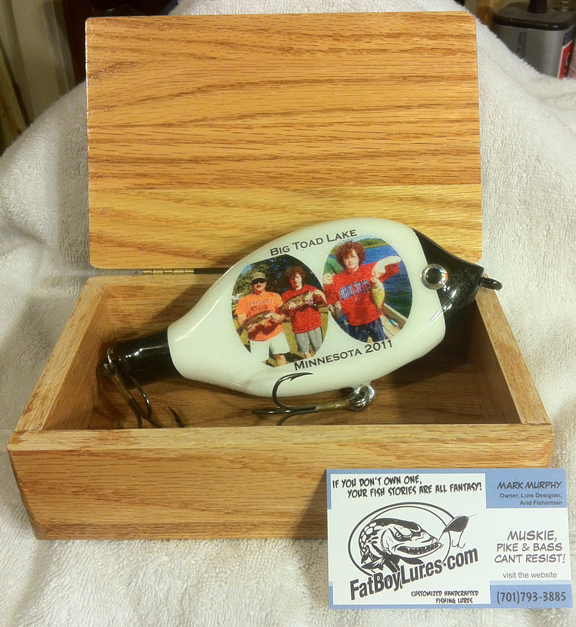 Each lure is tested before it's sent to you, to make sure it wiggles and acts the way FatBoy Lures are known for. All components are Tried, True, and Tested. If it doesn't pass my rigorous test on perfect action, it gets set aside and a new one is made from scratch. There have been times I caught fish on the test cast, no kidding, so I know they attract and catch fish... BIG FISH! I accept cash and credit card transactions through www.Paypal.com. Money Orders, Bank Issued Cashiers Checks, Western Union and USPS Money Cheques also accepted. 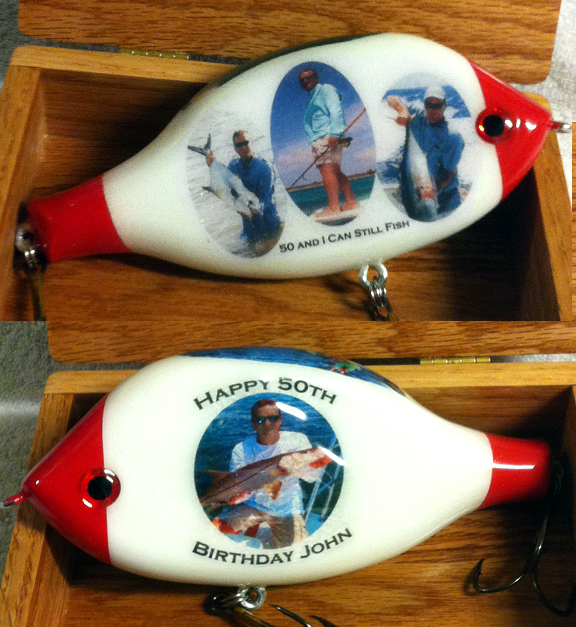 eMail me if you have any questions, want to order, or create your own unique personalized lures. Please call me now, Mark Murphy, 701-793-3885.
and USPS issued money orders. "Thanks Mark! This thing is catching fish of all sizes from big to bigger. I love it!"